Hiring Site Safety Advisor/Inspector. Good Pay depending on experience. Contract job Initial 2 week contract in August 2017, then 6 to 8 months from December 2017 to August 2018. 40 Hours a week. We are currently hiring Site Safety Advisor/Inspector in Northern Virginia area of VA., to ensure the accurate, efficient, and safety work site along a highway work zone, to assist in ensuring safety for a construction group doing electrical maintenance and installation of electrical devices for the toll road. The contract is 2 weeks in August 2017, time phase and then 6 to 8 months in December/January to August 2017. All Site Safety Advisor/Inspectors are to be present at site every day, an at all times of the contract. They will interact with our clients Site Supervisors, along with SCS, and communications is paramount. Site Safety Advisor/Inspectors will provide a daily safety report to SCS and our client. Site Safety Engineers will have the authority to stop work when an unsafe condition is noted. Site Safety Advisor/Inspectors will resolve the issue with the clients Site Supervisor. If the issue cannot be resolved at the jobsite, the Project Manager and SCS will be contacted immediately. The Site Safety Advisor/Inspector will represent our client, SCS, along with our Clients Supervisors, in safety related discussions with the Authorities Safety Teams. Certifications in CPR/AED and Basic First Aid by a nationally recognized agency. Certified OSHA Construction Safety and Health, Supervisor Level. VDOT Intermediate Work Zone Traffic Control certificate and one year of experience with highway maintenance of traffic (MOT). Experience working in an industrial environment in proximity to high voltage electricity, low voltage electronic control systems and roadway traffic. 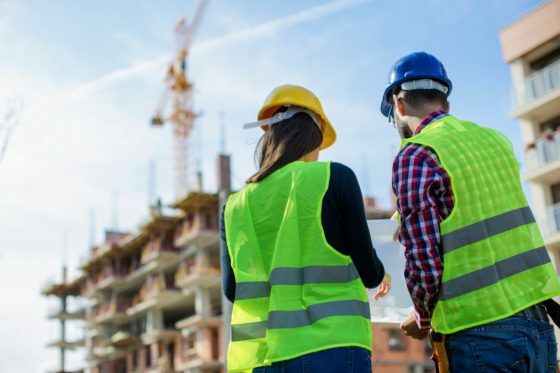 The Site Safety Advisor/Inspector will need to be successfully interviewed by a representative of the Authority that is contracted with and the Contract Officer’s Technical Representative. Qualification and aptitude will be reviewed and scenario-based questions shall be expected in the interviews and passing the interview is the contingency of acceptance for the job. A resume outlining your safety experience is required, which is then submitted to our client, and we schedule the interviews with Authority for approval of you being hired. Call Office: 703-779-7330 for details and questions.